Heat a tablespoon of ghee and roast vermicelli in it till it turns slightly golden. To this then add 3 cups of milk and cook in low flame, till the vermicelli is cooked. Then add the sugar and mix well. 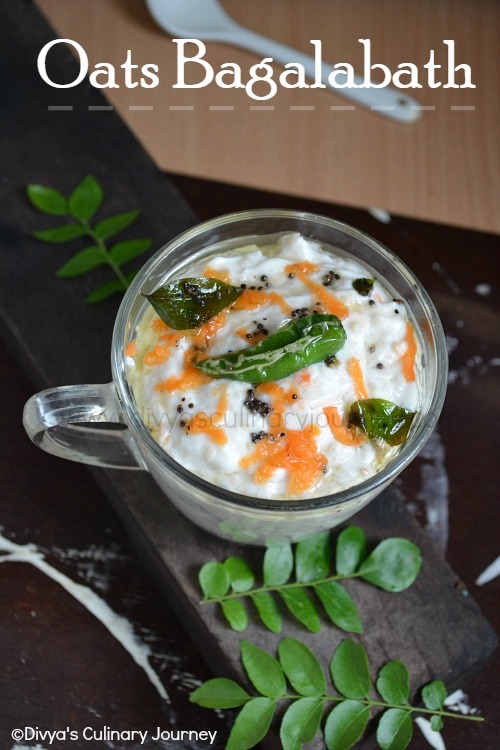 If you are using condensed milk, add it to the kheer now. Crack open the cardamom and powder the seeds along with sugar, discarding its skin. Add this to the kheer and mix well. Finally fry cashews and raisins in a tablespoon of ghee and add to it to kheer and mix well. The kheer thickens as it cools down and rests, if needed you can adjust the consistency. Adjust the sweetness as per your personal taste. If you are using condensed milk, add sugar accordingly. The amount of nuts and dry fruits can be added as per your personal preference too. You can also add almonds and pistachios. Though the kheer can be had warm, personally I feel the kheer made ahead in time and served chilled tastes better. 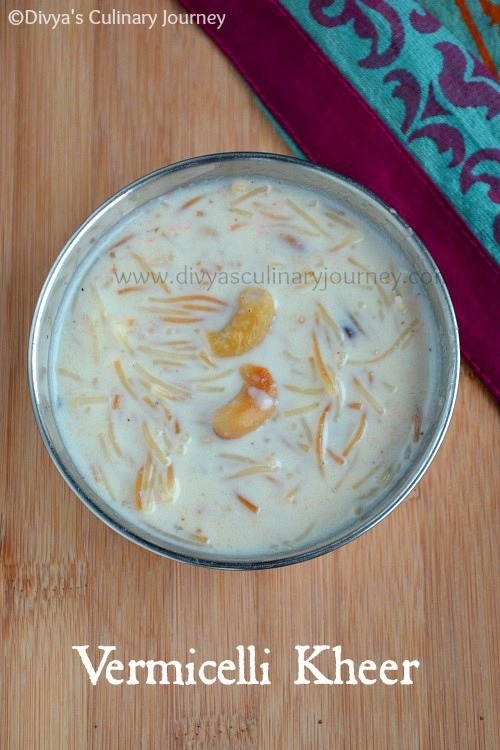 Delicious vermecilli kheer Divya, Congrats. 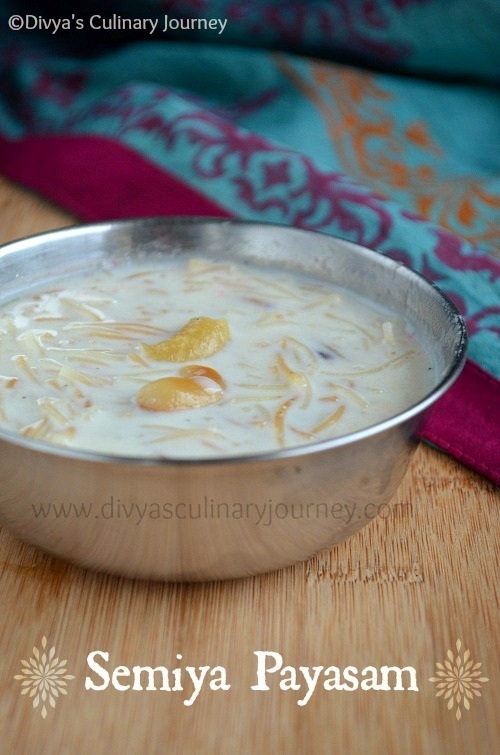 one of my fave payasam, looks delicious. Congrats...Looks delish..feel like digging into it. Looks delicious...I would love to follow this blog! hey congrats da :) wish u many more success :) semiya payasam super..